I live in Secaucus, NJ which has a high population of Indian residents. This is lucky for me because we have great Indian food with in minutes of our house. 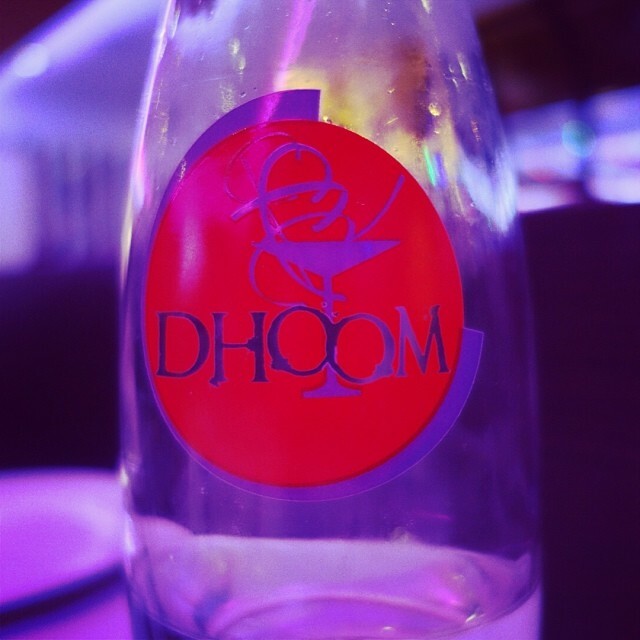 We used to only have Tadka, then Mausam opened, and with in the last year or so a new place on Route 3 opened up called Dhoom. 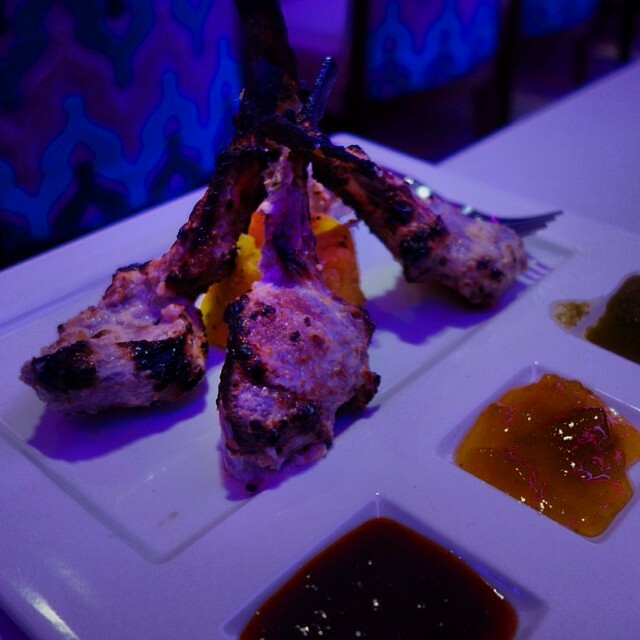 Dhoom is owned by the partners that own Bukhara and Tulsi in NYC, and Chef Dhandu Ram trained in the Bukhara in India, which is obviously why the food here is so great. We had the pleasure of eating in Bukhara in New Delhi, and it was amazing. Blog post to come for that at some point when I am playing catch up! We have been to this restaurant quite a number of times and there are two things that are consistent – the food is absolutely delicious, but the service usually is terrible. We go for the food so that is the most important thing, but the service could be greatly approved in many ways. Also the benches in the seating area could use a refresh. I have noticed that the menu has updated, just structure wise, but it is funny that our two favorite items on the menu are now featured as their specialties. Not a surprise because they are amazing. 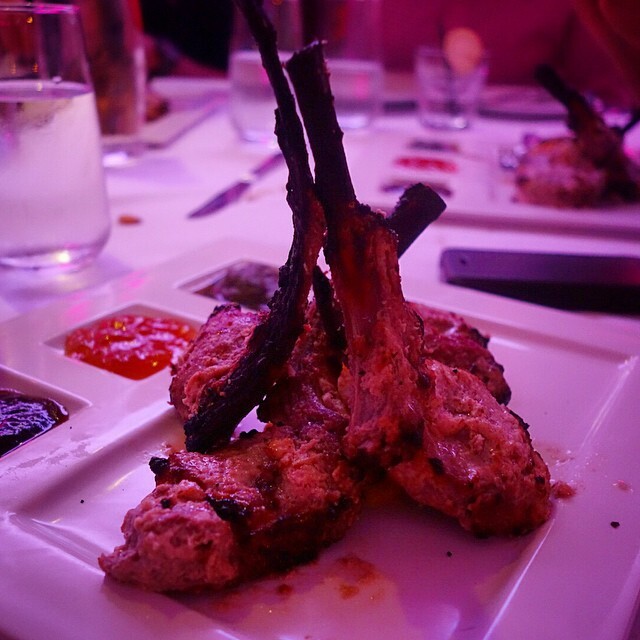 The Tandoori Lamb Chops and the Bukhara Dal are, for lack of a better word, scrumptious. To start we always get the New Delhi Chaat, which is papdi, chickpeas, onions and potato mixed with tamarind and mint. It is only a few bites, but it is a bite of so many complex flavors. I definitely recommend you try this. It is only pictured in the background of this pic, but you can get an idea. They are small bites you just pop in your mouth. 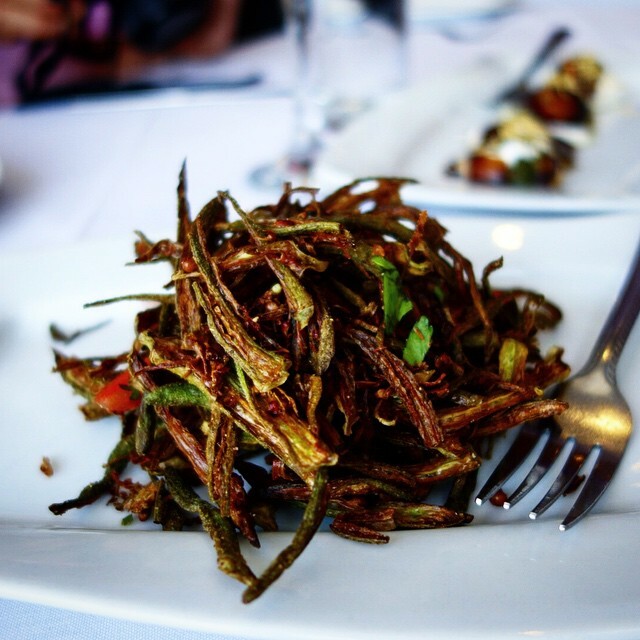 We also discovered while out to dinner here for Luis’s birthday one year that their Fried Okra, Chatpati Kurkuri Bhindi, is to die for. We literally lick our fingers to grab any last flake left on the plate. Another time we went and used a groupon with our friends Jimmy and Bhavini, and they ordered the Shrimp Balchao, let us try it, and it has since been another appetizer we love here. 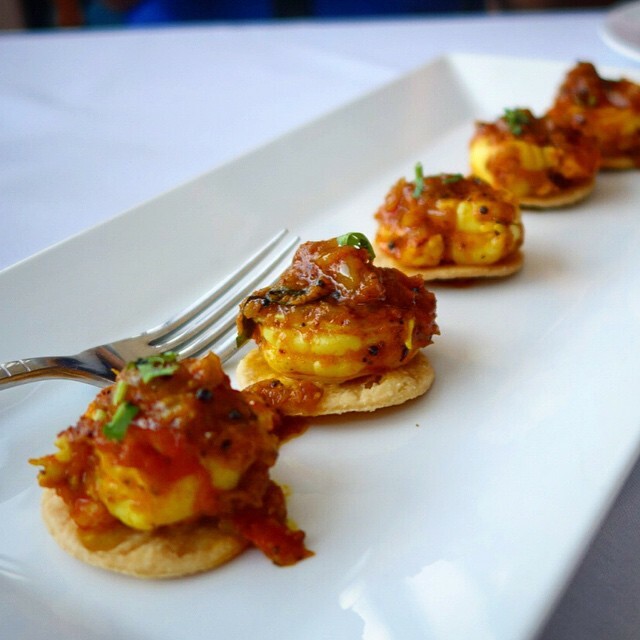 It is shrimp cooked in a fiery sauce and placed on top of some sort of cracker. It is very flavorful. 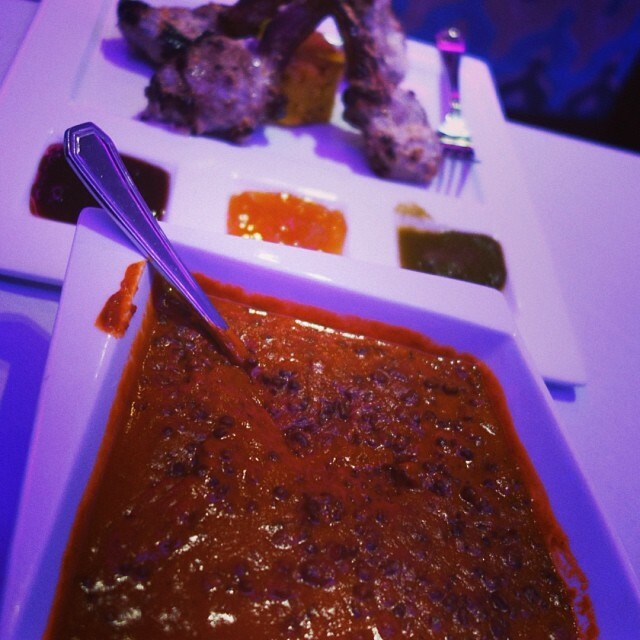 For the main meal our go to’s are the Tandoori Lamb Chops and the Dal Makhani. 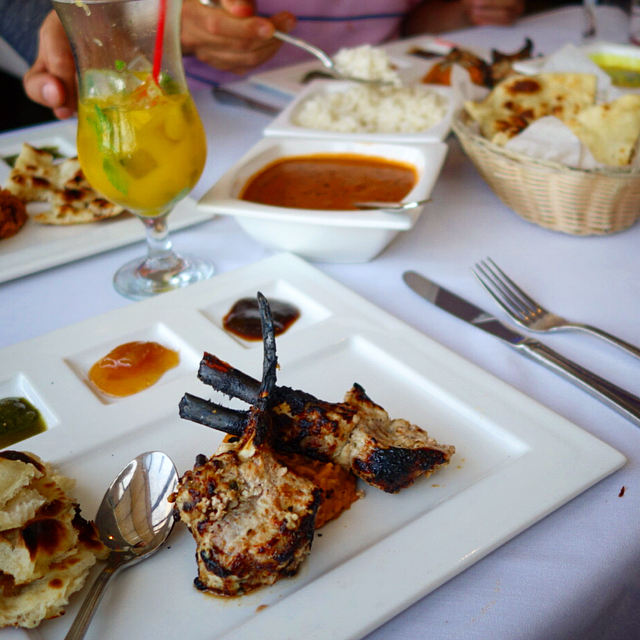 The lamb chops are said to be marinated in the chef’s secret spices, and the dal is cooked overnight in a traditional tandoor and finished with tomato ginger and garlic. So freaking good. For dessert I recommend the Rose-E-Jamun. We have tried the other desserts here, too, but find this one the best and most consistently good. We love Kulfi, but it is not always good here. If you do not know what Jamun is, it is soft cottage cheese balls dipped in syrup made from sugar and honey. It is a pretty typical Indian dessert. We had it at every restaurant in India. We recently came here to use a groupon for fathers day and I was pretty frustrated, as I have obviously used the same groupon here in the past, but this time I was told I could only get a certain cocktails from one list, while the drink I actually wanted was not from that list, and the one I wanted cost less money! I also wanted to get the naan that came with it with butter and rosemary, and offered to pay the difference, but was told I could not do that as it didn’t come with the meal, and if I wanted naan with butter and rosemary on it I had to order an additional order and pay for it in full. I have gotten this exact naan with my groupon of the same exact details in the past, as well as the same drink I wanted, the mango with champagne, as well. It was very frustrating and the waiter didn’t seem to care to be nice or accommodating. Again, we come here for the food though, not the service, but hopefully they get there service in shape someday, or I feel this will lead to their demise, as I KNOW I am not the only one that feels this way about this restaurant. I also noticed that the lamb chops used to come with 4, then 3 and now it only comes with 2. You can see from my pictures the progression. So sad and disappointing. Still absolutely delicious either way. Visit them at 217 Route 3 East Secaucus, NJ 07094 or phone them at 201-210-2275. You can also check out their menu online https://www.dhoomnjny.com/food-menu/. Unfortunately they do NOT deliver. Hopefully they change this in the future! I love Indian food, but my family doesn’t. I think the next time I visit my mom, I’ll check this out. THANKS!